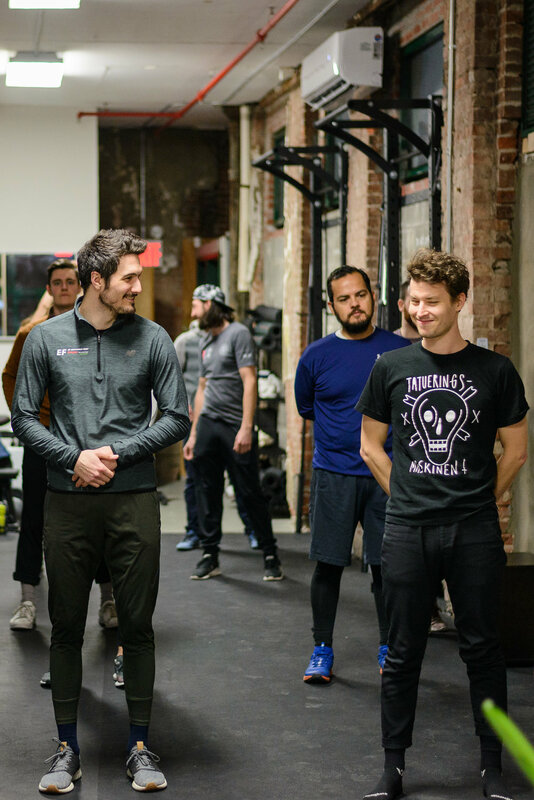 Our new partners MotivNY, in conjunction with Rapha NYC, have been hosting a 4-part mobility series focusing on a range of topics specific to cyclists. With the recent cold snap/polar vortex (whatever we are calling it) I have been feeling more rigid and stiff from training than usual and was very excited to head along to the strength and mobility session. The night was held at Motiv’s NYC pop-up @ 357 Canal Street. The pop-up space is compact but still feels quite luxurious and has enough space for 3 PT tables, kettlebell/stretching/strength classes and even has a Peloton treadmill. 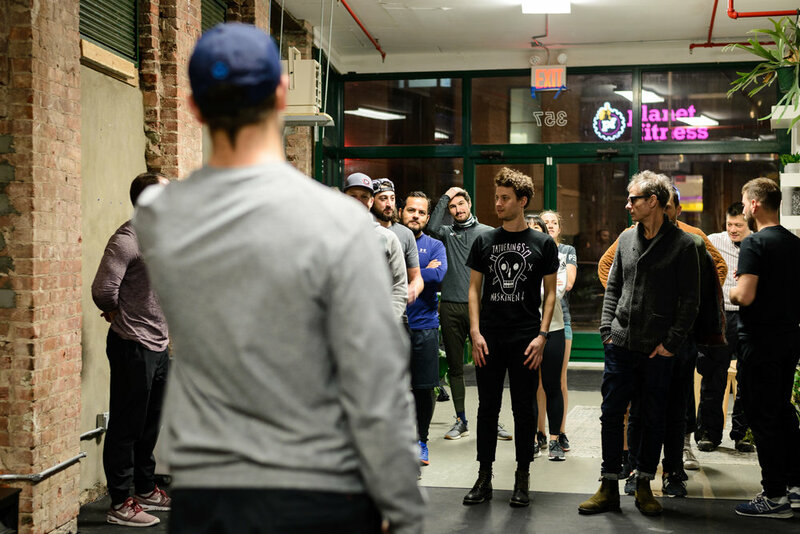 The structure of the evening was a chat about why mobility and movement is important, followed by a short warm up and a few exercises designed to get cyclist-neglected body parts moving. Taking us through the movements was MotivNY co-founder and PT Luke and strength coach Michael. After the warm-up we focused on three main areas of mobility neglect for cyclists; spinal, hip mobility and shoulder. We did one exercise for each but they were quite detailed and specific movements so I won’t describe them here (because I will probably get them wrong). 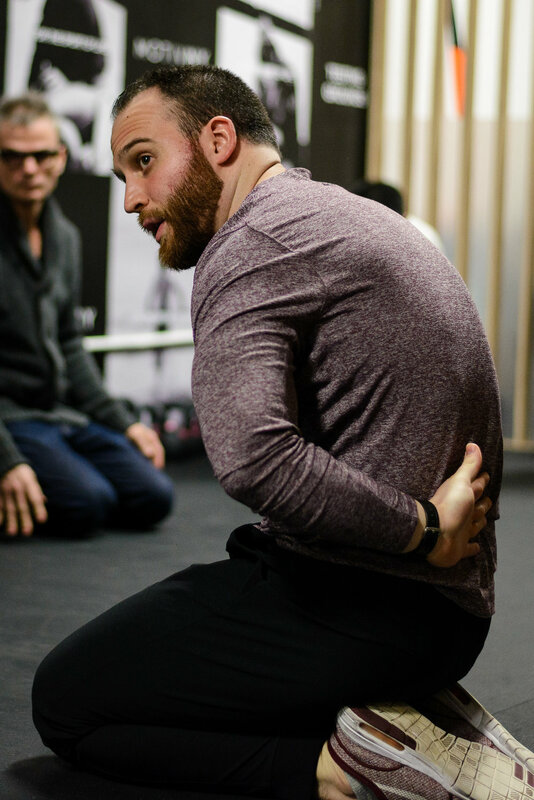 Your best bet is to check out one of the Kinstretch classes as Michael and Luke are brilliant at talking people through the complex movements. Luke demonstrating a cat/cow where he showed incredible control to move each vertebrae independently. Post-class the three of us TBDers in attendance spoke about feeling a lot more freedom in our movements and are committing to a lot more regular classes and personal mobility work to achieve the consistency that Luke spoke about. We’d also like to say a big thank-you to Luke and Michael from MotivNY for giving up their time and Rapha NYC for organising the night. The fourth and final installment of the series will be held on February 5 at the MotivNY pop-up and the topics being discussed are recovery and developing proper cycling training plans. RSVP to the final session is available here.